Valid only at Speedcraft Acura Call today to schedule your appointment. Coupon not valid with any other offer. Must present coupon at time of purchase. Limit one coupon per person. Cannot be combined with any other offer. Tax not included. Coupon must be presented at the time of service. Coupon does not apply to prior purchases. Other Restrictions may apply. Void where prohibited. Not valid with any other offers. 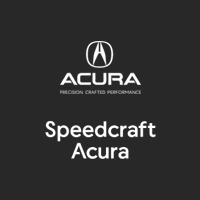 Finance your repair or accessories purchase for 0% up to six months with Speedcraft Acura. Contact us for the details! With approved credit. Not valid with any other offers. Service, Parts, & Accessory advice! *Loaners available by appointment only. Not valid with any other offers.